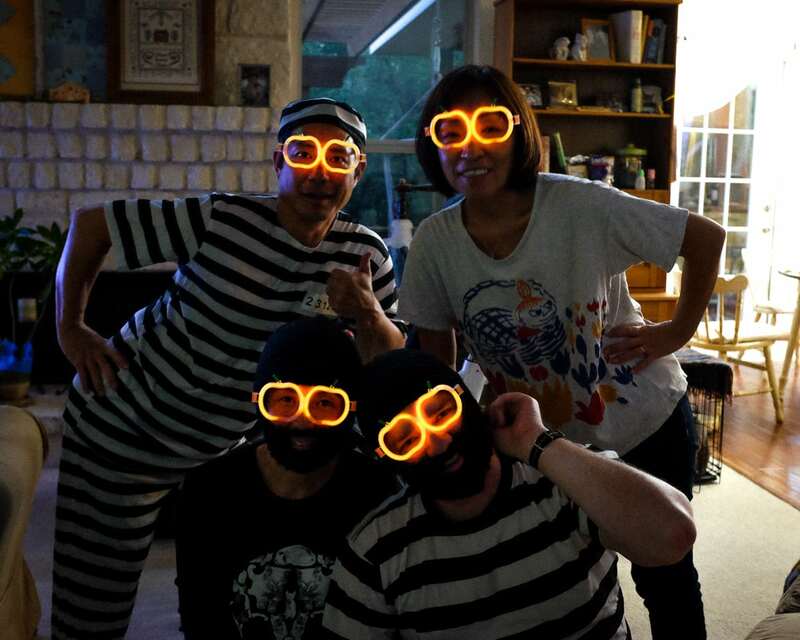 Tonight was Halloween  and we celebrated by dressing up, having a couple of friends over, eating good food, drinking lots of wine, and handing out candy  to the neighborhood kids. I was wondering how many trick-or-treaters would knock on the door, and was pleasantly surprised that we had so many! I’d guess that about 50-60 kids stopped by for candy, maybe more. There was one group that came by at around 6:30 which maybe had 20 or so! They were lined up all along our walkway. It was amazing! Our friends who joined us this evening live in an older neighborhood that doesn’t have many trick-or-treaters. All the kids have grown up. So they enjoyed handing out candy tonight at our house. Lots of fun! 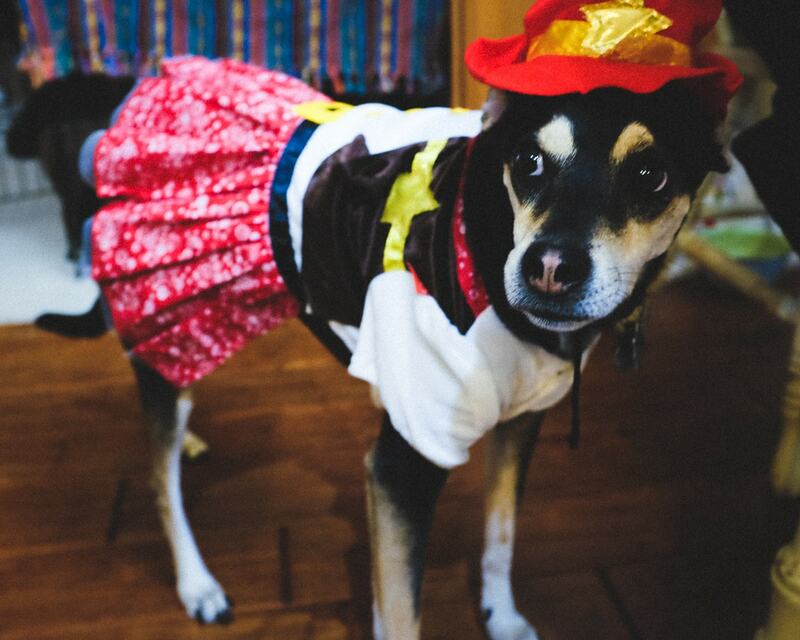 As you can see, we even dressed Lani up in her cowgirl costume. It was a bit tight on her, and when she was wearing it she was pretty much paralyzed so we were able to get some good photos of her before we took the costume off.